Querini Luxury Suites are located in the center of Chania, on the northern entrance of the Municipal Market, one of the most important modern monuments of the city. The particularly picturesque, with plenty of shops, paved pedestrian Tsouderon, the street where suites are located, is the ideal reference point for the visitor’s navigaτion into the narrow, traditional streets of Old Town. Both Deluxe Suite, the 35m suite on the first floor and Superior Suite, the 55sqm suite on the second floor with its amazing 50sqm roof garden, offer privacy, relaxation and luxury during the visitor’s stay to the charming Old Town of Chania. Enjoy the crystal clear waters and idyllic landscapes with the enchanting sunsets of some of the most beautiful beaches in Greece. On the first glance gives the impression of a sleepy south coast village where time stands still. Twice per day, things however change when the ferry boat from Paleohora via Soughia and Aghia Roumeli arrives. 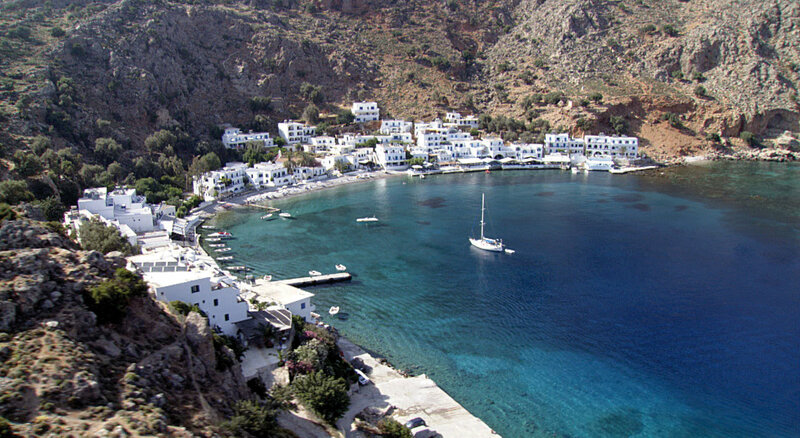 Also take the boat and visit Loutro. A small picturesque fishing village in south west Crete, not yet spoilt by mass tourism. Discover the beautiful beaches like “glyka nera” ( “sweet water” ),timios stavros, pervolaki, marmara, (the most are naturist beach) and enjoy the sun, sea and peaceful tranquillity. A small seaside village with a few houses. 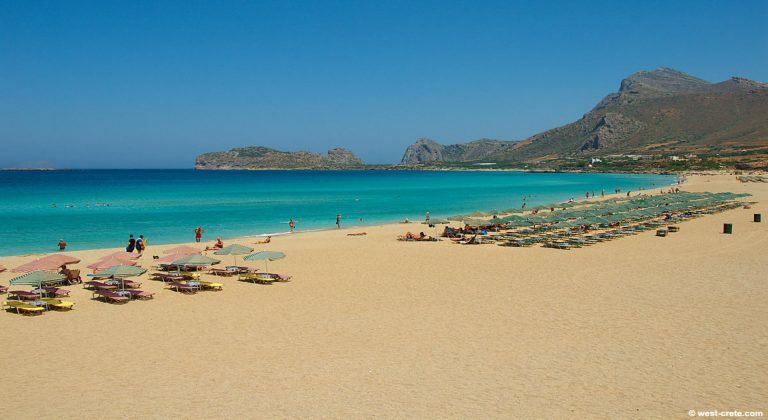 It is famous for its Venetian castle of the same name, which is preserved in very good condition, its beautiful beaches and the Drosoulites, the ghosts which appear at Frangokastello at dawn each May. 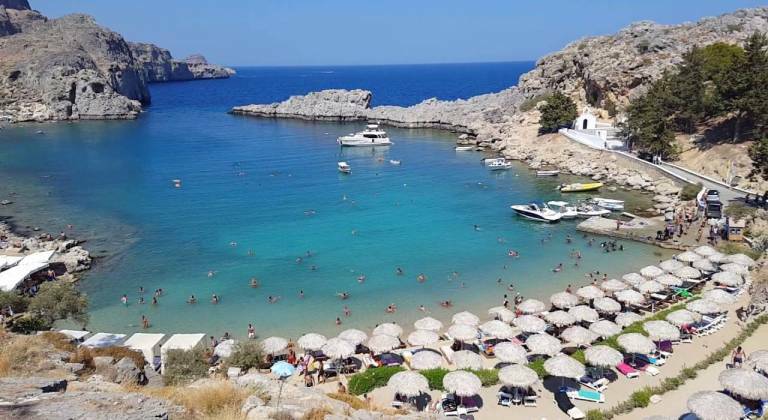 Stavros is a dreamy sandy cove and an excellent spot for relaxing. The circular coast is pleasantly catered with umbrellas and sun beds. Marathi beach is located in the southeastern part of the peninsula of Akrotiri in Chania. The crystal-clear sea and two waveless beaches as well as the taverns and cafes by the sea, are the reasons to come to Marathi. 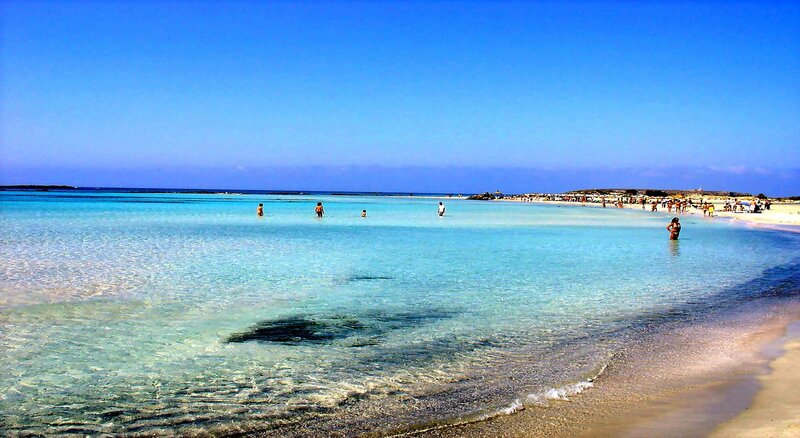 The famous lagoon of Balos is surely the mostly photographed beach in Crete, a very favorite subject of all tourist guides for Greece. 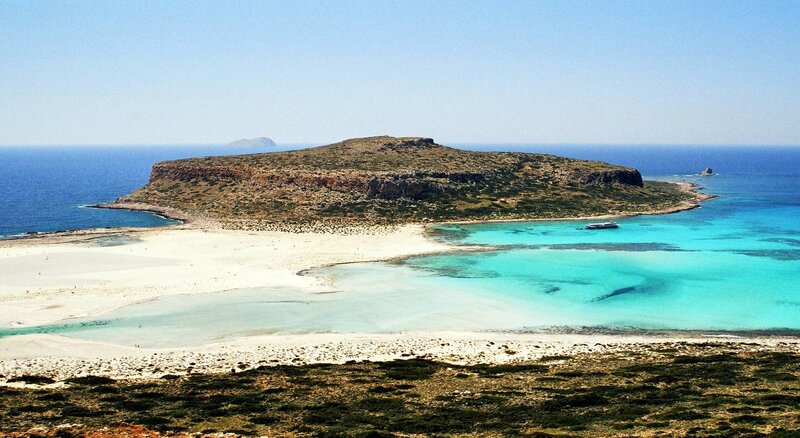 Balos is famous for its turquoise waters, the wild natural beauty and the beautiful exotic scenery. 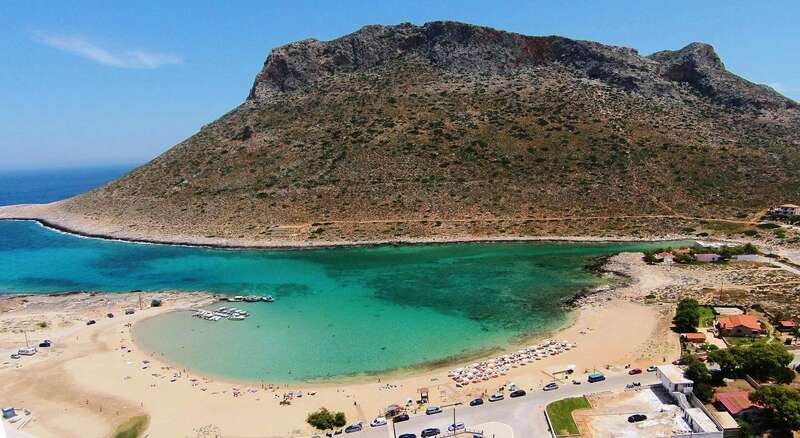 Is the name of an ancient settlement at Cape Koutri on Crete’s west coast, by the sourthern end of the big Gramvoussa peninsula and by the northern edge of the bay of Livadi. The name today stands for the 3 km long beach that frames the bay. 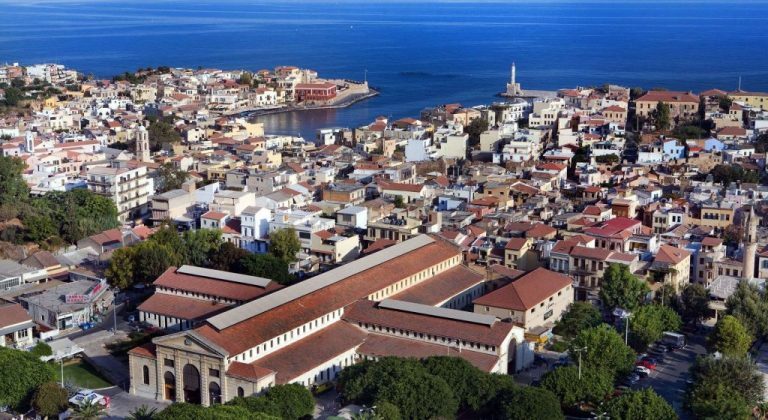 Visit the historic buildings and monuments while exploring the picturesque alleys of the Old Town of Chania. Despite being heavily bombed during World War II, Chania’s Old Town is considered the most beautiful urban district on Crete. The borders of the Old Town are the mostly destroyed old Venetian wall (and bulwarks) and this has been the cradle of all the civilizations which were developed in the area. The central part of the old town is named Kasteli and has been inhabited since Neolithic times. The Splantzia quarter (next to the east part of Kasteli) is also largely untouched and very atmospheric. The main square of the Old Town , known as Syntrivani, it’s the heart of the touristic activities in the area. Next to this (on the west side) lies the Topanas district, which was the Christian quarter during the Ottoman period. .The Jewish quarter was located at the north-west of the Old Town, behind the harbour and within the borders of Topanas. The whole Topanas area is generally picturesque, with many narrow alleys and old charming buildings, some of which have been restored as hotels, restaurants, shops and bars. The main street that combines the modern town with the old town is Halidon Str. 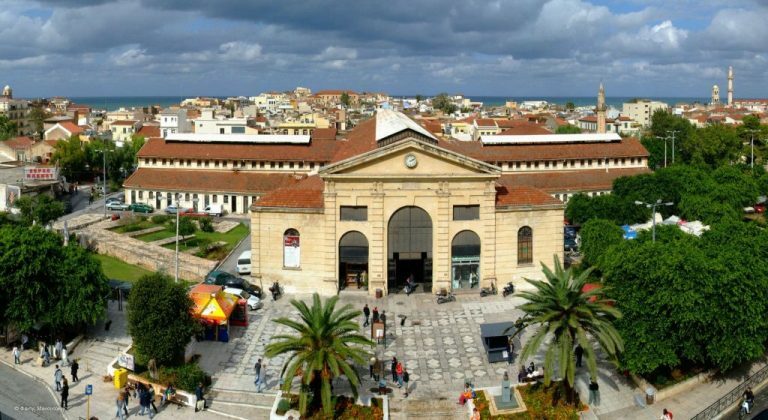 The Municipal Market of Chania, the 4000 square meters building in a surrounding area of 17.200 square meters, is the “heart” of the city. It is an original building that, apart from a business activity center, also provides a concrete image of the ancient Greek marketplace. The design and construction of the Municipal Market started in 1908 and was completed in 1913, the year when Crete was united with Greece. The spaces were organized according to special regulations, and the association “New Market of Chania” was founded by the business-holders. In general, on the eastern and western part of the market there were butcher shops, on the end of the west arcade there were the fish shops and on the north and south ends there were the fruit and vegetables shops. Few days before the Battle of Crete, on May 1941, a bombing shelter was constructed on the southeast part of the market. During the German occupation, the German soldiers occupied the central arcade and used it for the needs of the army. In 1980, the Municipal Market of Chania was declared a protected monument by the Ministry of Culture. 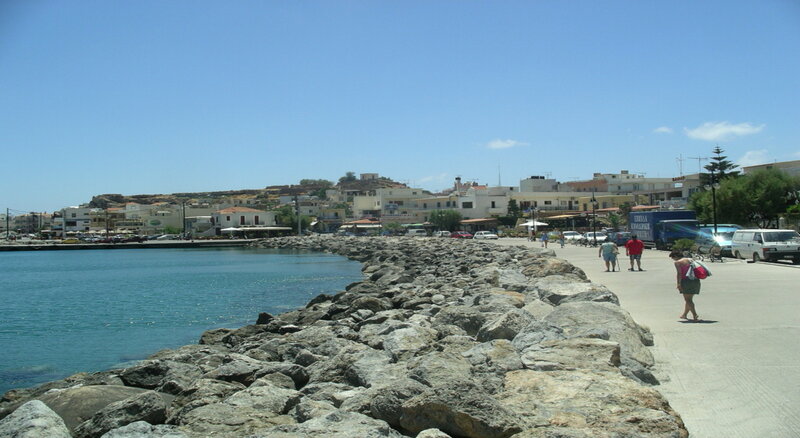 A very distinctive area of the Old Town is the harbour and generally the seafront (“akti”). Akti Tompazi, Akti Kountouriotou and Akti Enoseos (marina) all feature several historical buildings and a thriving nightlife. 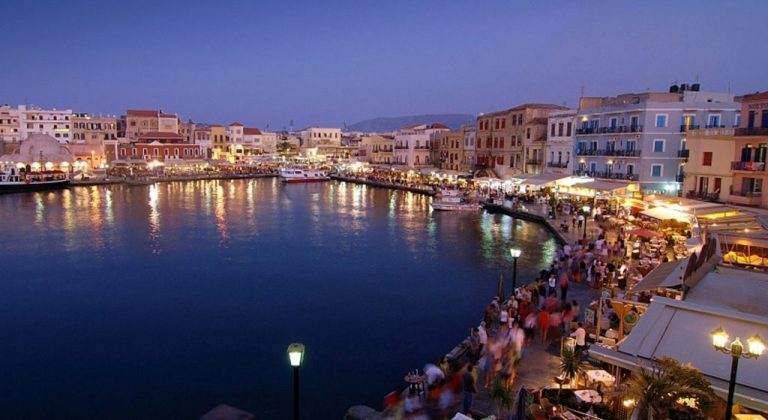 The harbour was built by the Venetians during their colonization in Crete between 1320 and 1356. It was an important center, serving the Venetian military ships, as well as one of the most important commercial ports of the Eastern Mediterranean Sea. In the 16th century, due to a perceived Turkish threat, the harbour was included to the new fortification plans of the city of Chania. A fort constructed next to the entrance of the harbour and enhanced with bastions even on the breakwater. During the period of the Turkish rule, the port continued to be a trade center. Much later, the 19th – early 20th century, the largest ships at that time, had to anchor outside the harbour and reach the pier by boat. 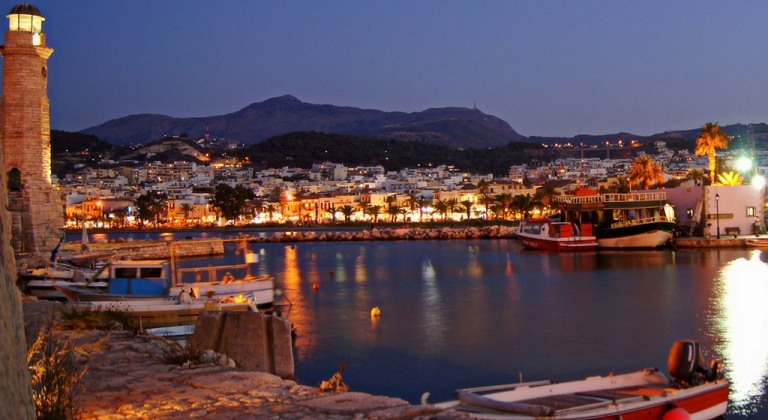 Thus, the port gradually abandoned and used the large natural harbour of Souda, which serves the passenger and commercial traffic of western Crete until today. On the other hand, the old harbour of Chania hosts small boats and yachts, in its eastern basin. The original Venetian lighthouse was built around the late 16th century to protect the harbour. During the Turkish occupation the lighthouse fell into disrepair and was eventually rebuilt between 1824 and 1832 in the form of a minaret. 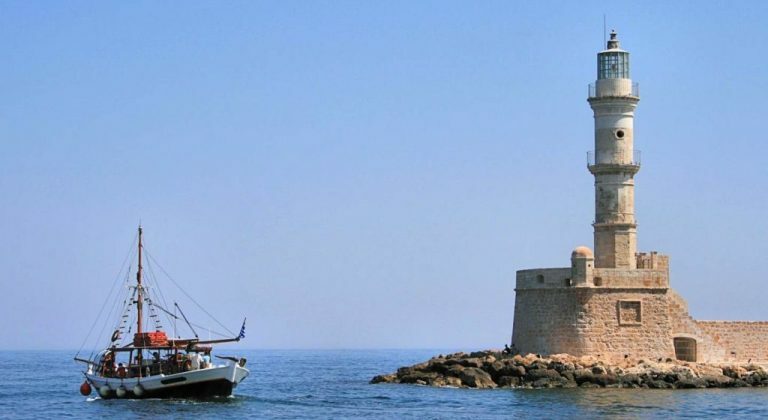 The modern lighthouse is often referred to as ‘ Egyptian’ because it was built during a time where Crete was occupied by Egyptian troops who were supporting the weakening Ottoman Empire against the rebelious Cretans. The base of the lighthouse is still the original Venetian base. The ‘Egyptian’ lighthouse was leaning badly due to bombings during WWII and earthquakes but it was extensively renovated in 2005 and now looks as good as new. The lighthouse is located at the end of a long mole that protects the Venetian harbour from the sea. It is well worth walking all the way to the end of it as you get splendid views from the harbour. Unfortunately the lighthouse itself is closed so you can’t go up the tower. This is the last building to the west of the 17 shipyards complex. The construction of the building began in 1585 by Intendant Alvise Grimani. The thickness of its walls, its isolation from other shipyards and public functions housed at times, impart a specificity may explain the name “Grand”. With the addition of floor in 1872, during the Turkish occupation, began a new era for the Great Arsenal. The building hosted several important public functions. Among others, it was housed here and the Christian Community School. Since 1892 it housed theatrical performances in the great hall. It was also used as a public hospital from 1923 as well as City Hall from 1828 to 1941. Today it has become a spectacular event and exhibition space. It acts as the Mediterranean Architecture Centre, hosting major Greek and international events on its premises, with special emphasis – of course – in Architecture. In place of the synagogue was built in the 15th century Catholic church, probably dedicated to St. Catherine. This church was destroyed during the siege of the city in 1535-1540 by the Ottomans. In the construction of the city walls, in turn, the Venetians gave or sold the ruined church to the Jews to build a synagogue, around 1560. By 1944, in Chania inhabited by about 270 Jews and was the only surviving Jewish community of Crete. During the bombings that followed, the synagogue suffered significant damage. After the war it used as a warehouse, dump and stable, while for a few years four families were living there. Today the community is a symbol of a good living together. The community life has revived while almost all congregants are Non-Jews. Occasionally a Rabbi or someone who is able to blow the shofar visits the community. An International team takes care of the congregation work. 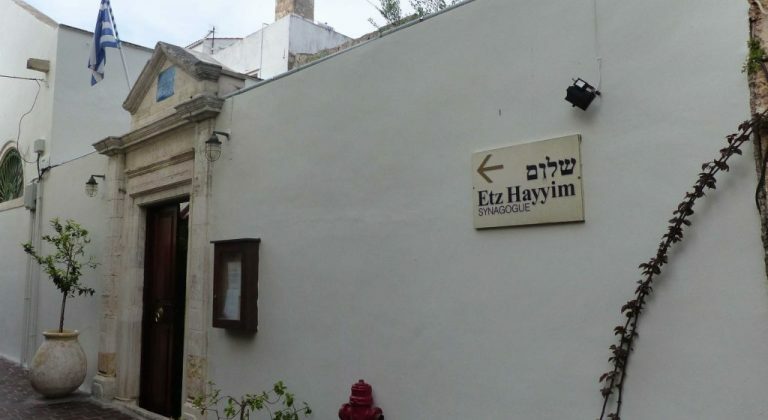 Christians and Muslims are invited to visit the meetings and in opposition to other Jewish Congregations in Europe, the visitors have not to show their passport at the entrance. The Küçük Hassan mosque or Yali Tzamisi, a work of Islamic art, dating back to the second half of the 17th century. It was built in honor of the first garrison commander of Chania Küçük Hasan. The mosque has a cubic building covered by a large hemispherical cupola supported by four elaborate stone arches. From the west and the north side is surrounded by an arcade roofed six small cupolas. The mosque, the courtyard of which there were palm trees and pashas and janissaries graves, stopped operating in 1923 and today it is restored to an event space. The exact date that the building was constructed is unknown although it was mentioned in writing as standing during the great earthquake of 1595 and being the largest in the city. It served as a Venetian church inhabited by Franciscan monks, and became an important monument of the city. 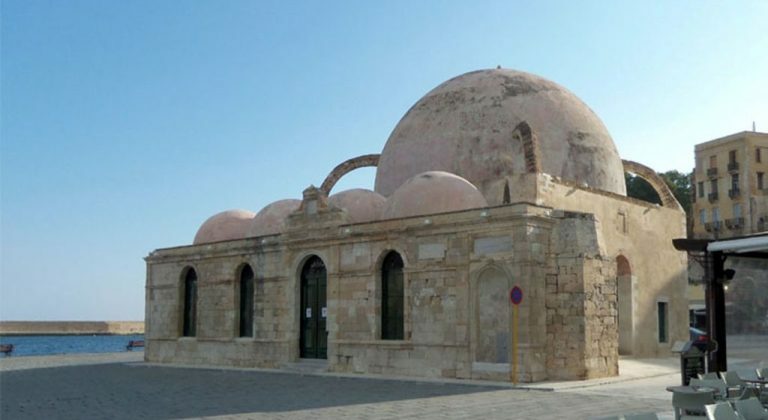 During the period of the Ottoman occupation, the building was used as a mosque and named after Yussuf Pasha, the conqueror of Chania. At the turn of the 20th century it became the “Idaion Andron” Cinema and after World War II it served as a storehouse for military equipment, until it was converted into the museum in 1962. 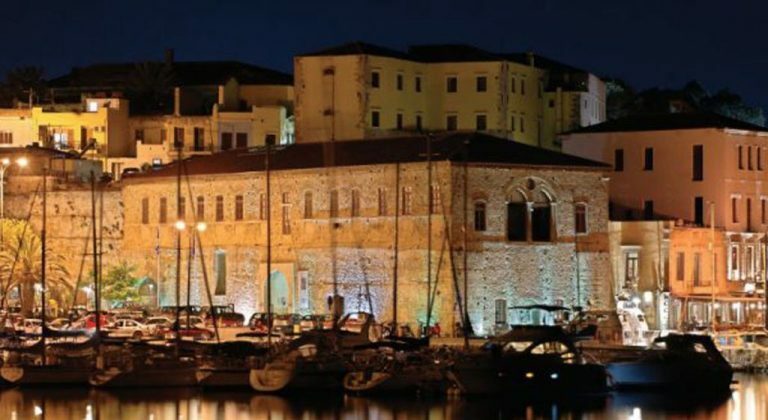 The “FIRKA” Fortress is situated at the entrance of Hania Old Harbour and it was constructed by the Venetians (1204-1669) in order to be used as the local garrison and as a prison for the condemned to death. Later Ottomans (1669- 1898) used it for the same purpose and established there the Division Command. The name “FIRKA”, which in Turkish means barrack, is used until today. On the 1st of December in 1913, it was raised here for the first time the Greek flag, a memorable event connected with the Unification of Crete with the motherland Greece. 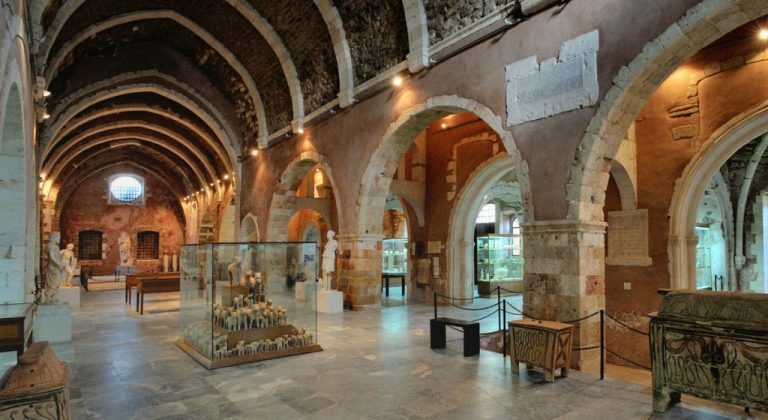 Nowadays, at the entrance of this Fortress it is situated the Maritime Museum of Crete, which was founded in order to house and perceive the Greek Maritime Traditions and those of Crete’s as well. 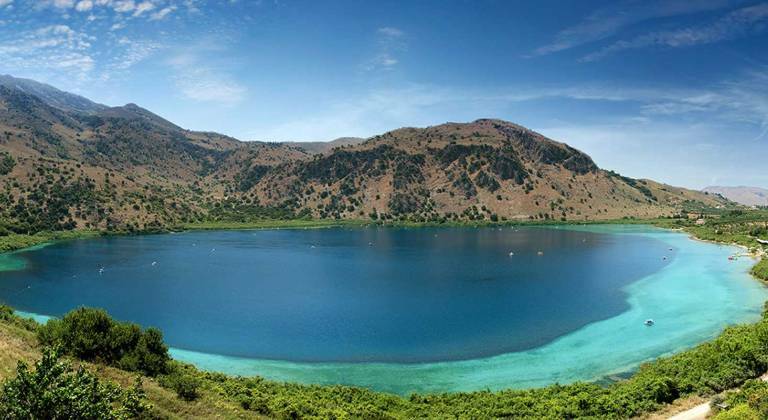 Explore the wonderful Cretan countryside and get to know some of its most popular destinations. 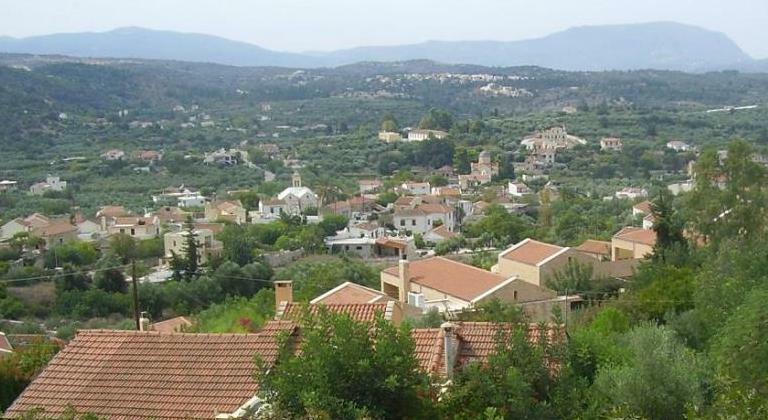 A semi mountainous village with the elements of folk and neoclassical architecture that retains the authentic physiognomy of the traditional Cretan village. Stands on the areal of the ancient town of Lappa, above the western bay of Rethymnon. 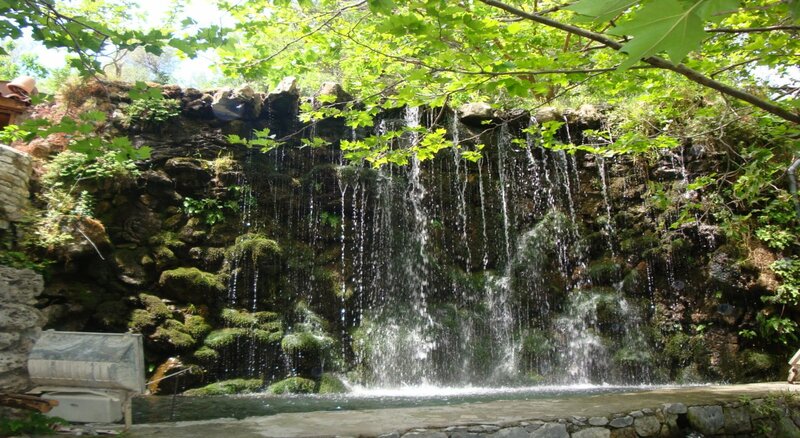 By the lower village border there is a spring with picturesque cascades. 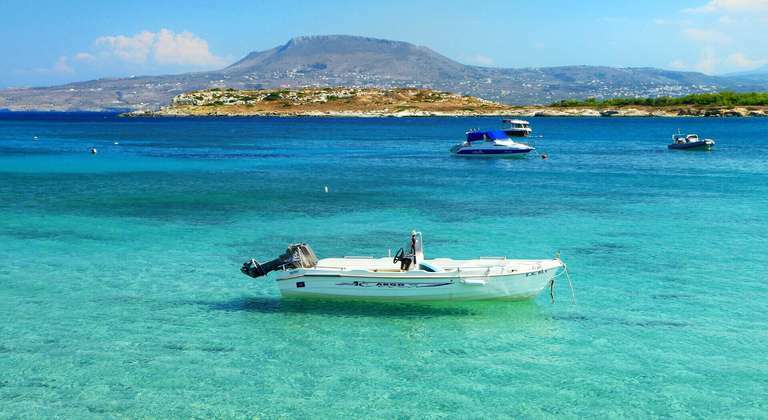 On Crete’s north coast is the capital of the governmental district of the same name. 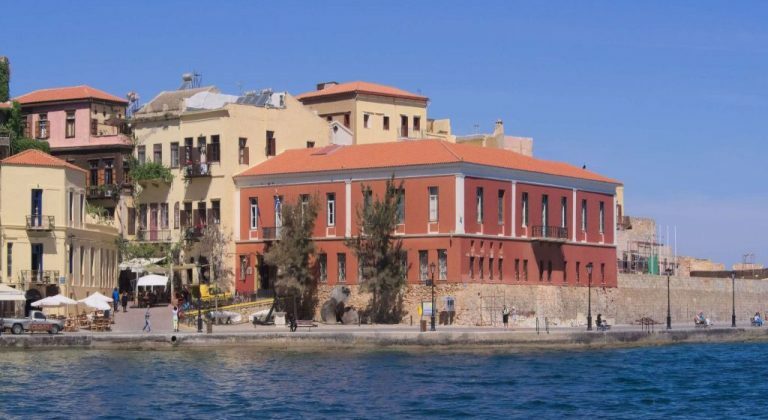 It ranks as the island’s cultural center and gives home to several museums, to the philosophical branch of the University of Crete, and other facilities. 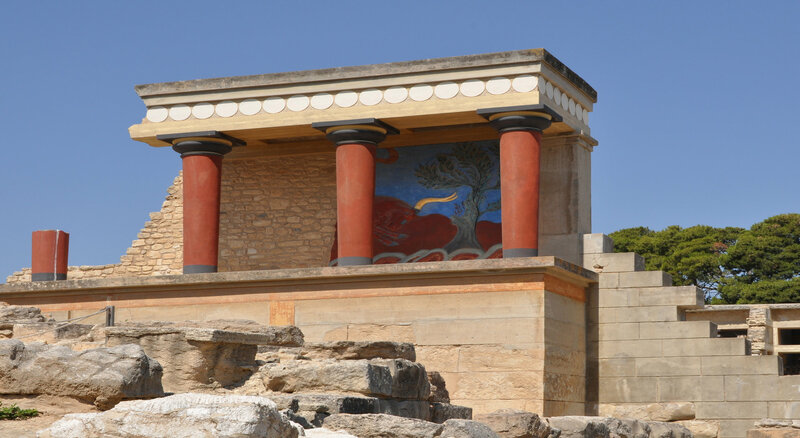 Also known as Labyrinth, or Knossos Palace, is the largest Bronze Age archaeological site on Crete and probably the ceremonial and political center of the Minoan civilization and culture. 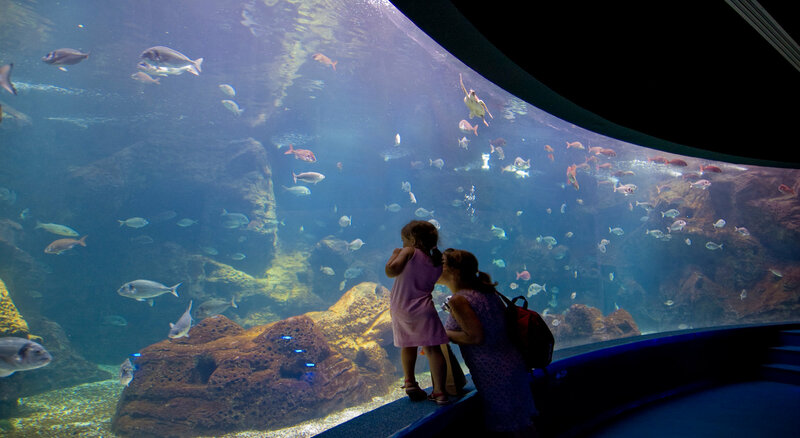 Is where your experience exploring the Mediterranean sea world ends. Come face to face with hundreds of species and living organisms. Be fascinated by their behaviour as they reveal the wide variety of shapes, colors, habits and needs of their own world. 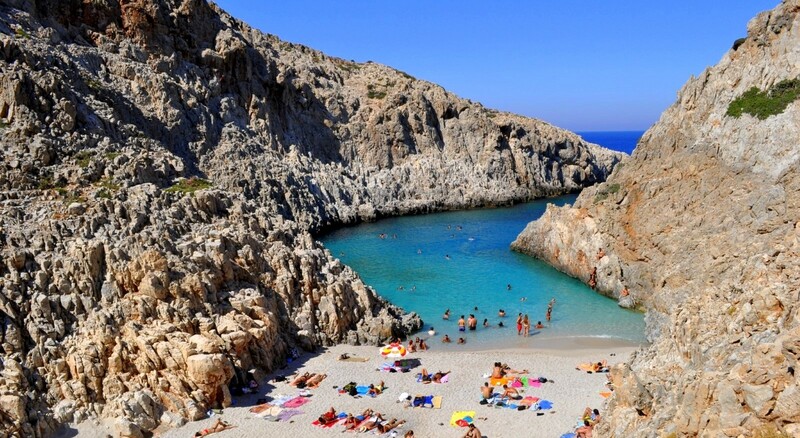 Located to the south of Chania at the top of the Theriso gorge. 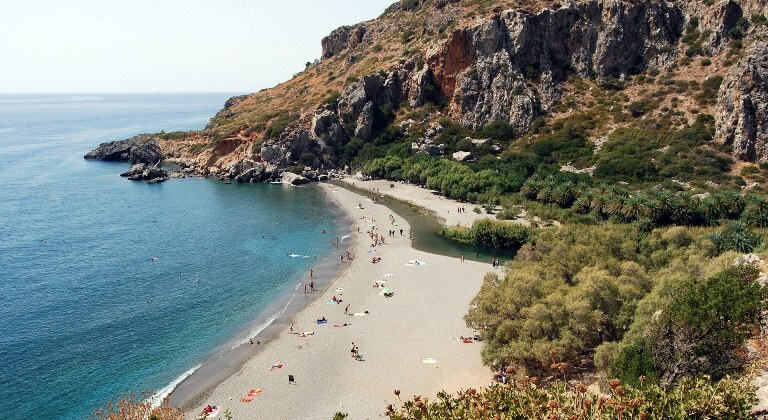 The 14 km drive up the gorge is considered spectacular and is popular with Chania residents for the cooler temperatures and grill restaurants of the village. 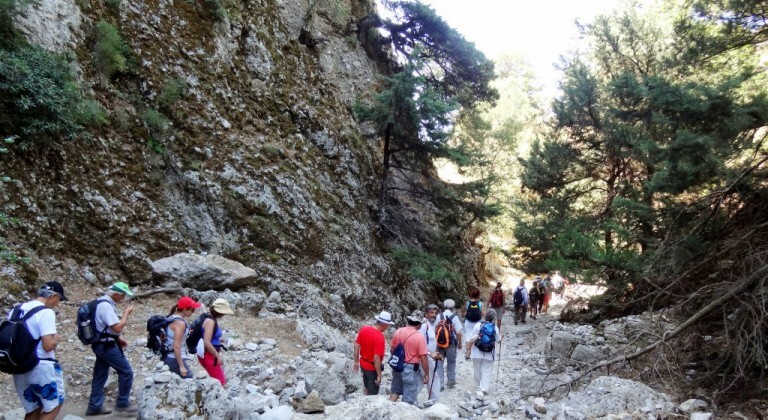 The gorge of Samaria is the second most visited tourist attraction on Crete and by far the most popular walk. It is the longest one in Europe. It is an area of stunning natural beauty. 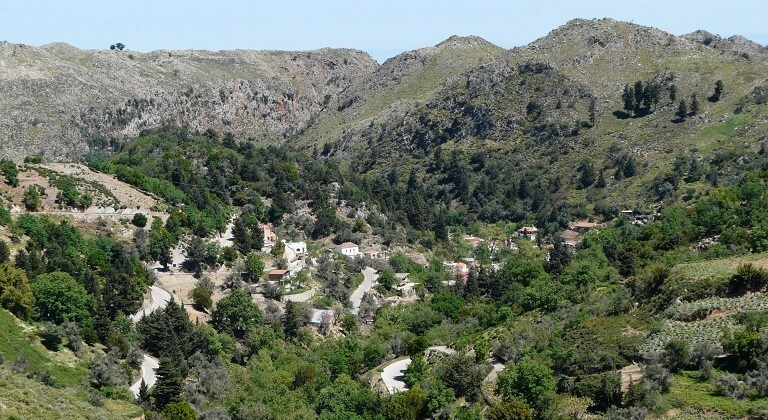 Imbros Gorge, is the second most popular gorge on Crete after Samaria. The scenery is beautiful and the relative easiness of the hike makes it an ideal walk for families with children. What a wonderful property. The roof deck affords an incredible view of Chania. And Manolis gave us the VERY best recommendations for a stay! It’s centrally located. Parking can be hard, but Manolis directed us to a free lot a 5 minute walk away. The place feels brand new and is beautifully designed. It was so much better than staying at a big hotel. We loved it and would stay there again! It was like having a modern luxury apartment in the middle of Crete. Manolis was an excellent host & made sure to provide great information for our stay! He recommended local beaches and restaurants and even left us a bottle of wine alongside fresh fruit when we arrived. The suite is lovely and located in a wonderful, central part of Chania. Meeting Manolis was a highlight of our trip and we could not have asked for a more beautiful place to stay!